Countries such as Brazil, India, and China have been busy issuing questionable credit. This dubious credit being issued in many emerging markets has come with extremely low-interest rates. If the borrowers’ default, the lenders won’t be looking at enough compensation to recoup their loses. Low-interest rates have become an overall global problem, including the rates in the U.S. high-yield bond market. Central banks around the world have been keeping interest rates artificially low while printing money with abandon. The current global debt is the direct result of this policy. $2 trillion in corporate debt will be maturing annually through 2022. A considerable amount of this debt may default and cause debt repricing. The damage caused by central banks and their policy of easy credit has been done, and there is little that can be done at this point to stem the tide. It can only be hoped that they are more aware now than they were in 2008. Just prior to 2008, during the halcyon days of easy mortgages, homeowners jumped onto the debt bandwagon by refinancing their homes and incur more than $300 billion in debt as the value of their properties increased. Many used their new-found wealth to purchase furnishings, automobiles, vacations or reinvest in the stock market. By the time anyone realized that the homes and stocks were highly overvalued, the stock market took a tumble, major lenders declared bankruptcy, and the world suffered through a massive recession. More than a decade later, as global economies are still climbing out of the mire, the story is repeating itself, this time with major corporations leading the way. These companies are using cheap credit to pay dividends to stockholders and buy back their own stock. This has driven corporate debt to record heights with inflated assets. 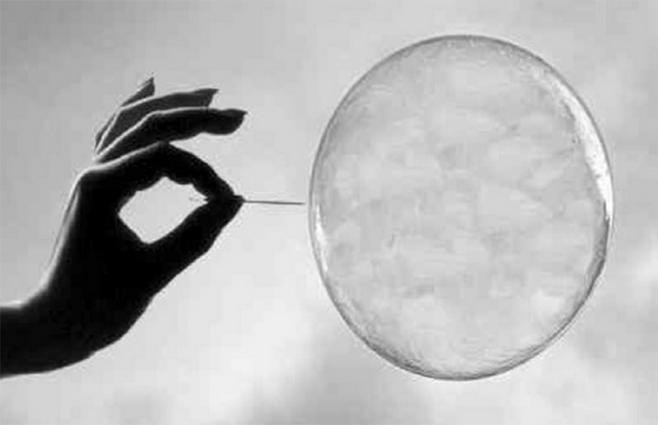 Sooner or later, the bubble will burst. Awash in cash, corporations have created a “buyback” economy. They purchase their own stock for a short-term profit. Companies are expected to pour 2.5 trillion in buybacks and M&A this year. Corporations used to invest in equipment, products, and innovative services to generate growth and profits. In the buyback economy, the cash goes to stockholders, instead, while the companies stagnate. Apple recently announced a $100 billion buyback of its stock. Since 2012, the company has paid $210 billion to its shareholders. In 2017, public companies used more than $800 billion of their equity to buy back stock and increase their debt. As a consequence of this corporate borrowing spree, more companies are binging on debt vs. focusing on their bottom line. This is a bad position to be in during any kind of economic turndown or when interest rates rise. When the time comes, a large amount of defaults is expected, causing renewed economic stress. It should serve as a warning to companies of problems that may lie ahead. The world is drowning in debt. In addition to corporate debt, household and government debt are at a record high level, while interest rates are historically low. With the recent tax cuts initiated by President Trump, the federal deficit is expected to exceed $1 trillion next year. This is in addition to the $20 trillion of already existing debt. Interest payments alone on this colossal federal debt will increase from $316 billion in 2018 to $915 billion in 2028. This is just the interest payments. Consumers seem to have also forgotten the lessons from 2008. Household debt, in the form of mortgages, credit card, auto and student loans, have returned to record high levels. Thirty-eight percent of individual credit card balances are over $10,000. As central banks contemplate rate increases, consumer interest payments will reduce buying power and cause a slowdown in the economy, bankruptcies, and eventually, perhaps a recession. 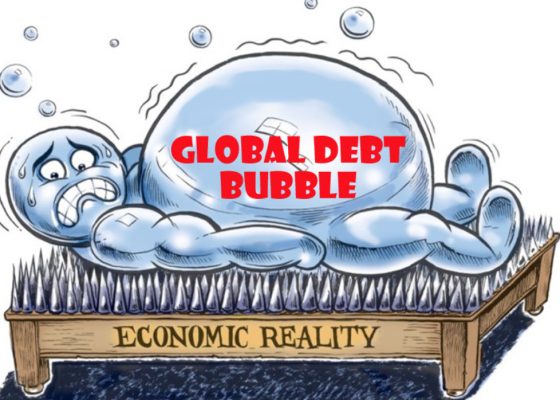 At the moment, the global economy is filled with a number of sharp pins, and no one knows which pin will be the first to prick the debt bubble. But a burst is almost certain.